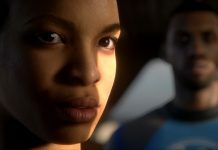 Supermassive Games places you in the driver’s seat yet again for another mysterious, chilling adventure. Unsettling, intriguing, and enveloping, you’ll be itching for another go right after the credits. Until Dawn made you feel like you were directing a cheesy horror film. Take that notion, add a darker and more enigmatic world, and then place yourself inside of it. That is The Inpatient. Set 60 years before the events of Until Dawn, you’ll explore the haunting Blackwood Sanatorium and uncover the strange secrets being kept under wraps. Simply select your gender and skin tone, and you’ll immediately be placed into the shoes of a patient suffering from amnesia. From the moment your journey begins, the world starts giving you clues, and opportunities of clarification, about your past. 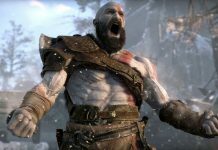 The events that unfold during the game make for what is undoubtedly the most enjoyable, and meticulously crafted, horror experience on PSVR yet. 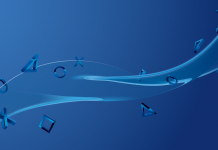 The Inpatient allows for two control methods — either the Dualshock 4 or the Move controllers. I highly suggest using the Move controllers. The introductory section of the game, and the free time you have in your room, gives you plenty of time to adjust to the (at first) somewhat confusing control scheme. But adjusting to this playstyle makes for an immensely improved experience, as the world becomes so much more accessible, and makes for a more tactile experience. 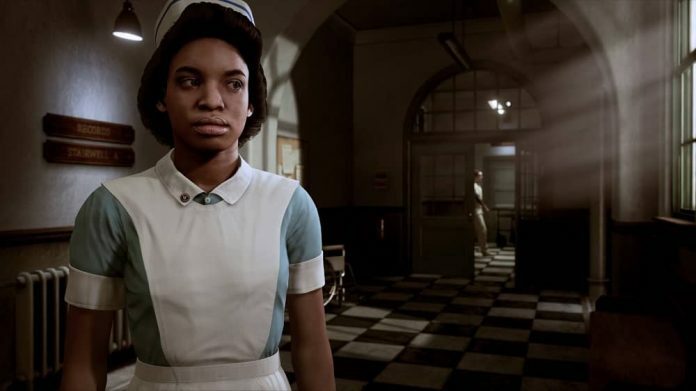 Voice command abilities make The Inpatient even more of a banquet for your senses, and speaking back to the characters places you much deeper into the game world. It had me talking to them constantly, hoping just once for something to work. The brilliance of the voice and motion controls does not go unnoticed. The pace of the story, which stretches out to somewhere close to two hours, is executed well. No particular area drags on, yet each feels memorable and worthwhile. 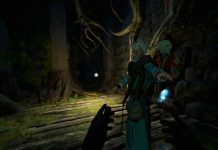 Each encounter is a tense moment, as the story really makes you feel like you shouldn’t trust anything or anyone — even yourself sometimes. 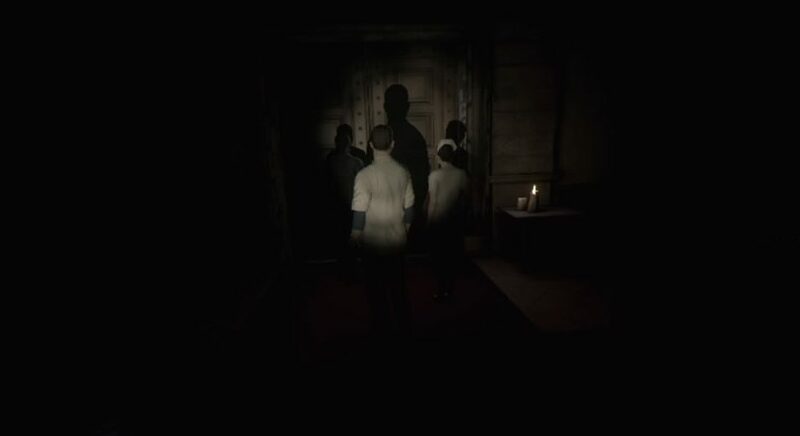 The Inpatient also lets you wander quite a bit, and intrepid explorers will find plenty of open doors and uninvitingly dark hallways to check out. Branching, butterfly effect-driven narratives make for a plethora of story outcomes, and I’ll admit the ending I got left me wanting. That being said, kudos to Supermassive Games for making the game so enjoyable that I actually want to relive that stress. Rather abrupt and seemingly loose, the story path I ended up following had me second-guessing my choices. Alas, that’s the beauty of this game mechanic, as it is my decision making that got me there. What’s happening around you in The Inpatient is what really stood out to me. Not only does it look fantastic for a VR game, but it’s an audio-visual, psychological, sensory trip that always has you tensed up. The game is truly foreboding. By removing the reliance of jump scares and cheap tricks, the game instead has you suffering from paranoia as you walk long, dark, hallways where every step is followed by hushed voices and ambient noise. The descents into madness, starvation, an obscure past, and the depths of the sanatorium are all done with such careful detail that you almost fail to notice right away. With the full body realisation, you can actually see the changes happening to your character as you progress. A bewildering excursion that entices the senses at every turn. 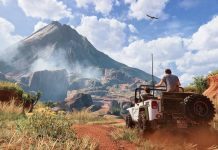 Apart from a slightly disappointing final quarter of the game, there are noticeable issues mostly with recognition from the camera. As with most PSVR titles still, collision detection is a bit shoddy and sometimes the camera just lost one of my arms without much motion on my end, which led to my character doing some horrifying contortion. Some motion cues during my time with The Inpatient weren’t easily doable even after a few tries, but resetting your position usually fixes that. As a whole though, I found very little to complain about in terms of general gameplay, story, and execution. I really felt like I was a part of the world; not just a character, but an inhabitant. Pulling off that amount of immersion is impressive. The Inpatient is simultaneously a familiar yet new experience. Playing off the wonderful formula of Until Dawn, but polishing whatever rust was there, it succeeds in nearly every task it sets out to do. It is chilling without being cheesy. Horrifying without being overt. Disturbing without being grotesque. I absolutely cannot wait to return to the Blackwood Sanatorium and make all the (right? wrong?) decisions this time around. 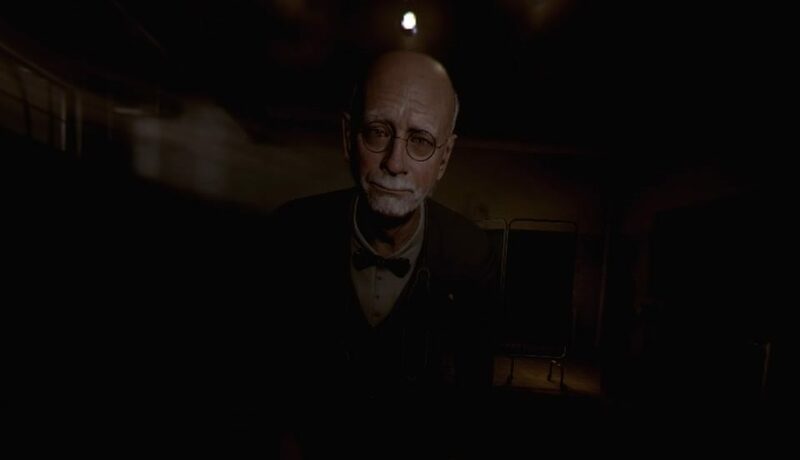 The Inpatient is easily the most rewarding horror adventure to be had on the PSVR to date, and a fun puzzle that I still might not have solved quite yet. Just make sure you stick around after the credits roll, especially if you enjoyed Until Dawn. 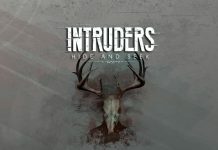 The Inpatient is available on PS4.